Two Harvard University researchers announced Friday that they have found a second parchment manuscript copy of the Declaration of Independence in a tiny records office in southern England. The only other parchment copy is maintained by the National Archives in Washington, D.C., researchers Emily Sneff and Danielle Allen said in a statement. The team, working with British officials, is working to carefully test the document in a way that will not damage the parchment. 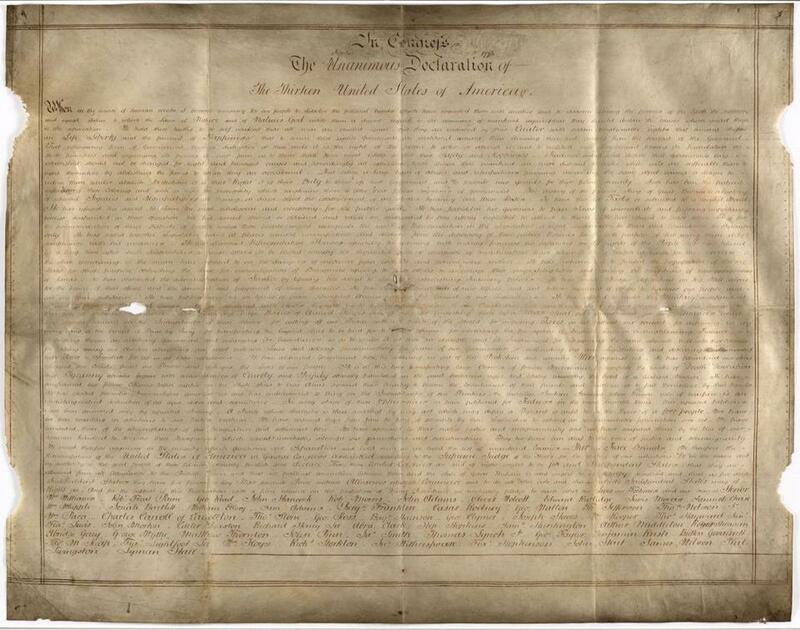 According to the National Archives, the Massachusetts Historical Commission holds one of 26 copies of the Declaration of Independence prepared by John Dunlap, the printer for the Congressional Congress, after its signing on July 4, 1776.